Cameroon Catalyst is an international development charity which brings together students, engineers and specialists who lend their expertise to help facilitate sustainable development in villages in Cameroon where 50% of people in rural areas lack access to safe drinking water. To help with this, Radcliife Rotary has completed a wonderful two year project to raise the £6000 needed to give one of these remote villages the gift of clean water. We have been working closely with Southampton University and their Cameroon Catalyst team to carry out one of our most ambitious but exciting projects in our long history. Our efforts came to a wonderful finale at Greenmount Golf Club recently when Rotarians, sponsors and guests packed the club to the rafters, enjoying a wonderful Gala Charity Ball, good food and the hilarious mind-blowing illusions of the inimitable Billy Flywheel, were a recipe for a great night, rounded off superbly with dancing to Lee Grant. A mouth watering array of prizes ensured a record raffle collection. 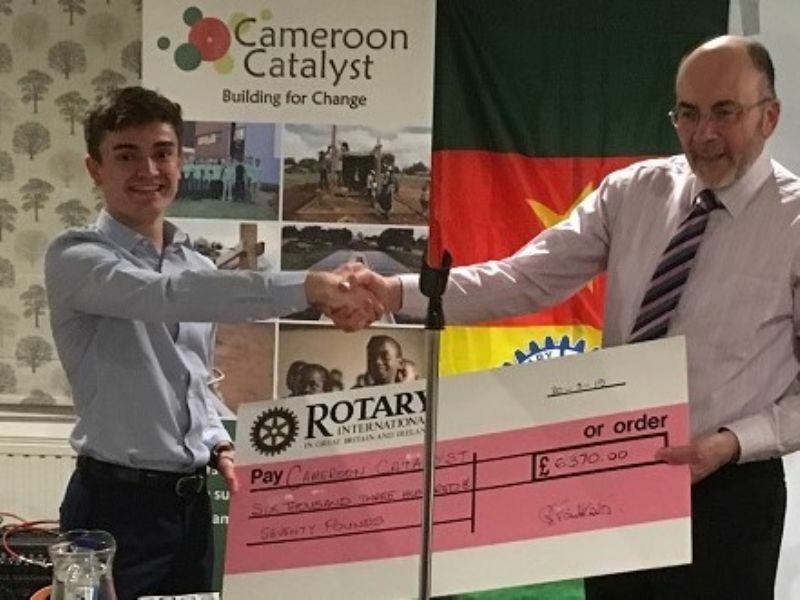 A cheque was presented on the night by President Ken Kerr to Tom Edwards, one of the Universitys Cameron Catalyst leaders. Construction on the well starts next month.